Jon Masters is Chief ARM Architect at Red Hat, where he is also Technical Lead for Red Hat Enterprise Linux for ARM. Jon is a Computer Architect who has lead the computing industry in a variety of initiatives connected with the 64-bit ARMv8 Architecture (AArch64), including architecture and platform standardization for enterprise and cloud-focused uses. He has worked for several well known Enterprise and Embedded Linux software companies, co-founded industry collaborations (such as the Linaro Enterprise Group), and has authored several well known programming titles on Linux technology. 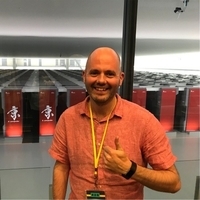 Jon has presented at numerous conferences on ARM, as well as the merits of emerging Hyperscale Computing Technologies and their disruptive impact upon the traditional datacenter.